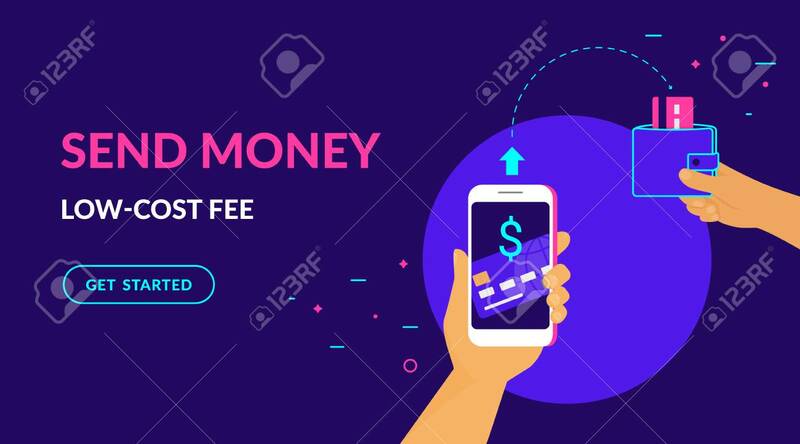 Send Money Low-cost Fee Flat Vector Neon Illustration For Ui Ux Web And Mobile Design With Text And Button. Man Is Sending Money From Credit Card To His Friend Wallet Via Mobile App On Smart Phone Lizenzfrei Nutzbare Vektorgrafiken, Clip Arts, Illustrationen. Image 115044209.